Her Name Is Sylvia: Pink for the Spring. Spring is all about color!! It's time to add some pop to the wardrobe of yours and I'm all about bright colors. Pink has been all the craze this year, from blush to bubble gum. If you've been following me along you may have noticed that I was all about the blush in the winter time, something about a muted color with a grey undertone just works for the winter months. When the weather warms up, I'm all about adding a pop to your look. This pink does just that! 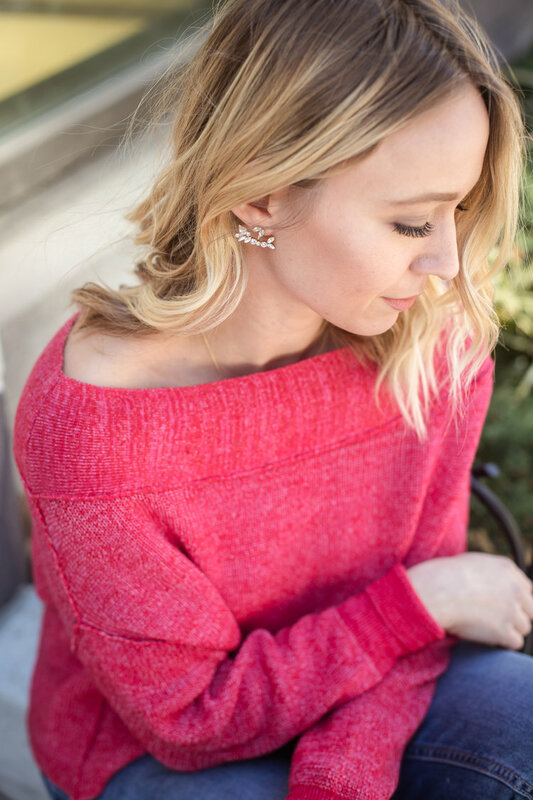 Pair this sweater with denim or white cut offs and it's the perfect run around look. 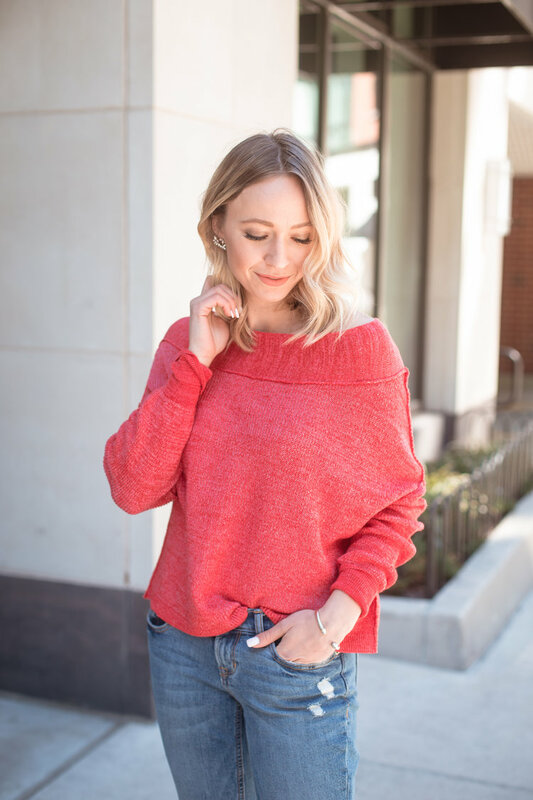 This sweater is currently 40% off !